The Left have been trying to paint Trump as a racist for months now. They know Trump is no racist. But Hillary Clinton is. Most white Democrats ARE racists, as well, either too stupid to realize it, or too embarrassed to admit it. In one of the WikiLeaks revelations, Hillary Clinton racist email exposes something that she would never say to a group of blacks or Muslims in person. 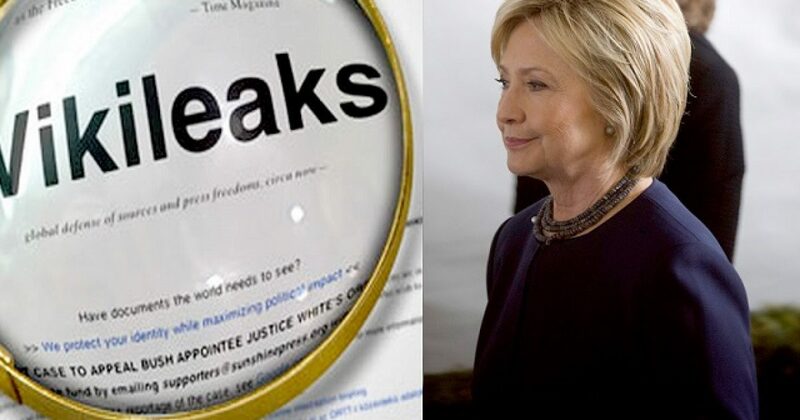 As we have learned–again from WikiLeaks dump of Clinton’s speeches–there is her public persona and her private reality. In this example, Clinton paints a bad picture for “African Americans”–that’s plain old black folks, aka the silly Negroes she panders to every election cycle. Clinton does the same for Roma, a term used for Gypsies, then Muslims. In her reference, Hillary Clinton hit the trifecta denigrating three ethnic groups, and she even managed to work in religion. Clinton is right that these groups don’t fare well after immigration in America. The reason; Democrat policies that pander in large part to these very groups. Certainly blacks have amazing opportunities in America, as program after program has been established. Muslims have jumped on the gravy train, and are taking welfare to previously unexplored bounds. No longer do people come here for freedom and opportunity. They come to exploit. For blacks Liberals, there are no excuses, unless being trained to be lazy and complacent counts. I could relate better to this email, if the Democrats were looking for solutions. They are not. They use this information for nefarious reasons. Democrats have made blacks their attack dogs. Gone are the water cannons and police dogs, when the Left goes after Conservatives. They simply use black people. Soon Muslims will take their place. One ironic note is Hillary Clinton wants to bring in many more Muslims than Obama. She understands that Muslims don’t do well with our current immigration policy, yet she’s willing to compound the problems?